I started a new Blog Ring with Creative Bloggers so I'll be featuring a new blogger each week for a while. This week's Featured blogger is Melanie aka Bags by Melanie....a girl after my own heart. 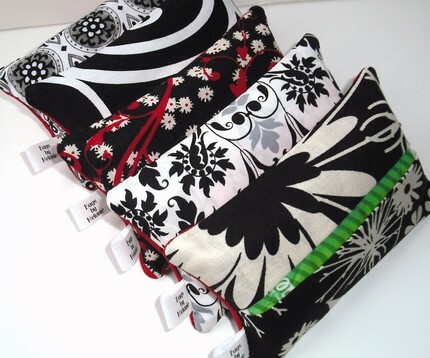 I checked out her Etsy shop and she has some really cute items especially these tissue holders. Yes, I am still getting over the darn Spring cold so these looked very inviting and needed at this time. I may have to try to make me one...or not. LOL Maybe I'll just buy one from Melanie. Check out her Etsy shop and her blog for more great items. BTW all you Entrecard droppers, Melanie is also a member so drop your card on her and say hi. THose tissue holders look great! Hope your sniffles go soon. Those tissue holders are really cute,and so are the key rings. I love her key fobs...great blog!